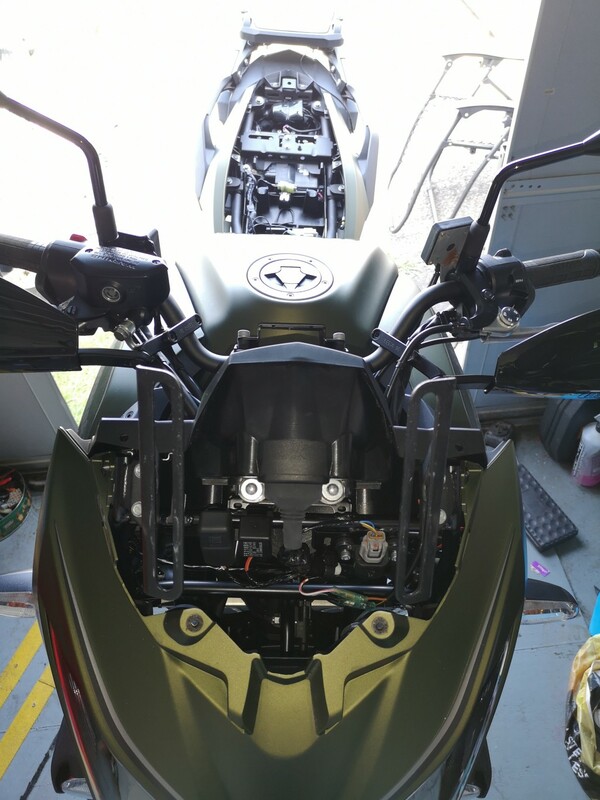 Short version: does someone post a picture of the underseat accessory connector for the Versys Mk3? 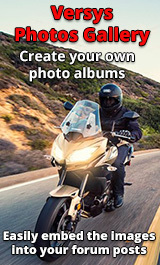 Long version: I've got a 2018 Versys GT. When I received it the heated grips (oxford) were wired direct into the battery instead of to a switched relay. I just left it as I'd already had a mare getting the bike and the dealer wiring had been a bit haphazard (Datatool alarm wiring routed outside the bodywork.....). Anyway, I thought I'd just sort it out at some later time. So under the seat I found a single bullet connector that seemed to give 10v when the ignition was on, this is connected to a loom and what appears to be a relay (can't get to it at the moment), however, to complicated things the dealer also installed an alarm and separate tracker (neither of which I know where the wiring is). 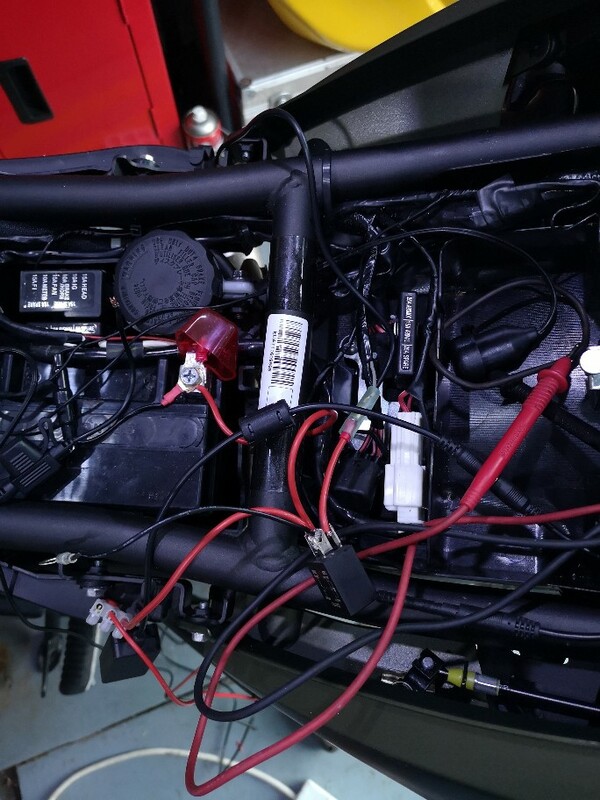 so there is a lot of taped up wiring under the seat. I connected a relay to this 10v bullet connector but it doesn't seem to be switching which could be that I've blown the fuse somehow, but either way, does anyone have a photo of the wiring under their seat, or the accessory connector that I see mentioned a lot, but can't seem to find. This is what I'm working with right now. The bullet connector is in the middle of the screen connected to the red wire. Just below that is what I'm assuming is the accessory relay? Re: Underseat Connector, where is the relay? Here's a clearer photo without my Frankenstein work in the way. Also, my relay is definitely working off the bike. 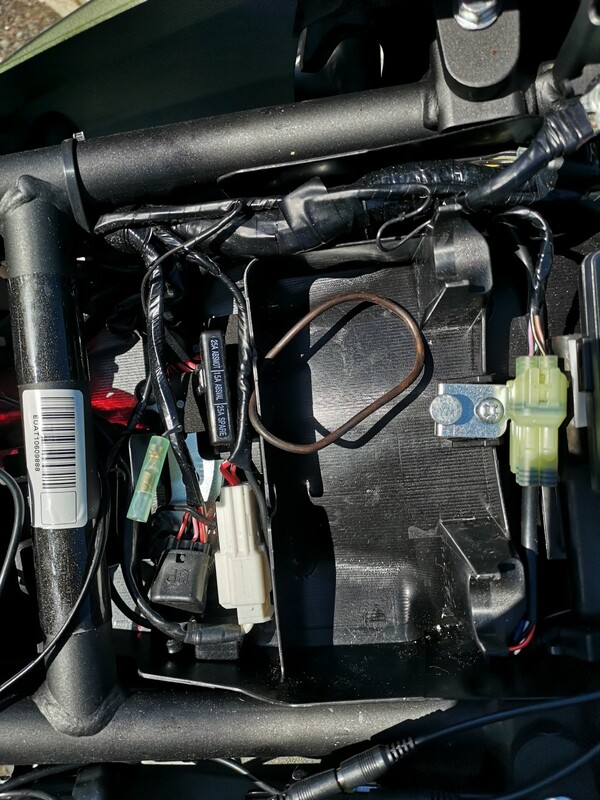 The bullet connector under the seat is giving out 9v, but doesn't switch the relay. I may be completely wrong but I think that bullet connector is for diagnostics and the block below is the tip over sensor. The accessory plugs are underneath the screen and on the left hand side of the bike. Thanks for the replies. Sorry for the delay in responding, I've been working nights. So other than the accessory relay under the front, there's no other accessory connections as standard (on the GT)? Thanks for the replies again, Towerman, barold, and liam. Good news with the ECU! I don’t think there are any others, just under the front and on the left hand side just beneath the tank. Okey donkey, finally have time to get this relay business sorted. Gained access, I can see the relay and the 12v power port is connected to it. What I can't seem to see is the connector under the tank that I could use rather than routing wires from the back to the front of the bike. @liamf, when you say the connector is on the left, is that as you look at the bike from the front, or from the back? It’s on the left hand side with you sitting on the bike, I would have confused you by talking about the tank, I’ve just had a quick look and with the fairing still on the bike, it’s actually almost directly behind the indicator wrapped up in tape on the loom. Take the fairing off and it’s almost in line with where the indicator was. I tried to upload a photo and failed. Happy to send you a pic if you pm me your email address. Edit, also just had a look in the handbook, and there shown on pages 76 and 77.